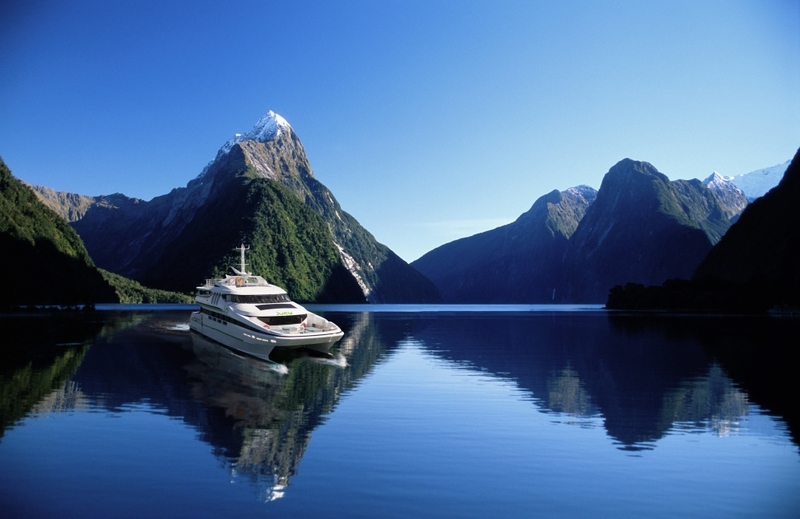 A new luxury-class boat launched in New Zealand's stunning Milford Sound in July 2017 is taking cruising to whole new levels. JUCY Cruise has invested millions in the Gem of the Sound - an impressive 29m long, three-level vessel boasting expansive glass roofs, external and covered decks, and smart dining facilities. The Gem of the Sound can easily accommodate up to 200 passengers and will operate three times daily, year-round. In line with Tourism New Zealand strategies to grow the luxury market, it will feature an international-standard buffet with new and exciting menu options, which diners will enjoy seated in comfortable booths in the light-filled dining area. Ranked as "the world's most beautiful place'', the fjord's legendary waterfalls, plunging from clifftops rising straight from the sea, are a sight to behold, especially following heavy rain. The Gem of the Sound is the only vessel in Milford Sound designed to make the most of those falls and spectacular scenery, with two large glass roofs enabling passengers to take in the views from the comfort of the two top decks, even while dining. A front deck means passengers can still choose to enjoy some unique 'Milford mist' as the boat nudges under the falls, while other areas are perfect for spotting fur seals, penguins and Bottlenose dolphins. JUCY Southern Lakes General Manager Kat van Dijk described the new Gem of the Sound as a "very impressive'' vessel. Gem of the Sound offers an exceptional level of comfort, hospitality and an outstanding cruise experience.